SEO, or Search Engine Optimization, is the practice of telling search engines such as Google what your website is about and how it may be useful for users. If done well, it gets you closer to the top on the result page displayed by a search engine, and you get high volumes of traffic for your website. When people need some information, they mostly search for it online on Google, Yahoo!, Bing or other search engines. These search engines maintain huge databases of websites and based on people’s queries they display a set of results, showing websites that match with the search criteria in a certain order so that people could quickly and accurately get what they’re looking for and . Without SEO, neither search engines nor people will come to know about your website. You may have one of the best websites out there about your niche but if people don’t know about it, they will never visit it and you will never be able to make some serious money with it. Search engine optimization is all about getting traffic from a search engine. It is a method of systematically structuring each page on your website so that search engines will find them useful and direct users towards it. Along with pay per click (PPC) advertising, SEO is the most widely used method of brining people to a website. There are many aspects of SEO. On-page SEO involves formatting each page on your website in such a way that it becomes easy for search engines to crawl and store it in their databases.Basically, you need to place keywords related to your niche on a webpage at strategic locations. Keywords are words and phrases used by people when they search for something on a search engine. Examples of keywords include “how to make money online”, “SEO guide for affiliates”, “affiliate marketing”, etc. Off-page SEO involves doing activities off your website that improve your search engine rankings. It is equally important and if you ignore it, you would not get desired results.Off-page SEO involves promoting your website by linking it to other important websites. When a website links to your website, it provides you a “backlink” which improves your site’s worth. Social networking websites, blogs, blog marketing, forum marketing, directory submission, search engine submission, social bookmarking, link baiting and article submission are some effective methods of promoting your website. When implemented successfully, SEO will help your website outrank all other websites and boost the traffic that you receive from a search engine. SEO is by far the best method of obtaining free traffic from a search engine. When people search for something they are typically served with two sets of results, paid and free. To secure a spot in the paid results, you need to spend money. However, to appear in the free or organic results, you do not need to spend money. A search engine considers these results the most relevant for the search term and displays them automatically. In order to get free traffic from a search engine, you should not only appear in the free results but also appear in the first three pages of the results because users do not bother to check beyond these pages. Therefore, you must optimize your website pages effectively, covering your most important keywords. SEO helps you appear closer to the top on a search engine results page (SERP). If you can achieve top spots for your most important keywords, nobody can stop you from making money as an affiliate. Obtaining high rankings on a results page gets you more traffic, which in turn gets you more money! However, you must remember that there is no magic wand that can get you high rankings on a search engine. Rather, you need to work hard and smart to raise yourself up the rankings. You need to structure and format each and every page on your website to make a search engine believe it is important and will be useful for a user. Only then, you will be able to get high rankings. SEO is a blessing as it offers unbeatable benefits over other methods of getting website traffic. However, there are some inevitable disadvantages as well that are hard to ignore. SEO provides free traffic. You do not need to spend money to get visitors from a search engine. The size of your wallet does not matter when it comes to drive traffic to your website. It all boils down to your skills and ability. You get “low-risk” traffic with SEO. Unlike PPC, you do not spend money to get traffic therefore you can ignore it if it does not start getting you results right away. With PPC, you are always concerned about conversions as you spend a lot of money buying traffic. With SEO, such pressurizing situations rarely occur. SEO takes time and effort, sometimes a lot of time and effort. Most people turn to other methods of getting website traffic simply because of the time and effort it takes to obtain a reputable ranking in search results. Rankings are not permanent. People behind search engines do their best to improve user experience. They regularly update their algorithms, which can affect your rankings without prior notices. Search engine optimization is a comprehensive yet simple process. It is twofold; you need to perform on-page SEO as well as off-page SEO. On-page SEO involves making certain changes to the content on your website so that Google or any other search engine finds it worth displaying among the top search results. The on-page tips listed below will help you make the right start. Place your keywords strategically. Scatter them throughout your webpage. Do not forget to include your keyword in the first 50 words of your page. Most search engines focus on the top part of a webpage while crawling it so you must include your keyword in the first part of your page. Keep your keyword density between 1% and 4%. That roughly equals using a keyword once every 100 words. There are special tools that can help you determine the exact keyword density. Search engines can block your listing if you over optimize by keeping keyword density very high. Avoid keyword stuffing. Some people try to group keywords close together in an attempt to trick search engines into increasing their website rankings. Search engines hate such practices, and the penalties often involve filtering your search listing. The key to success is using your keywords strategically throughout your webpage. Optimize the title tag for each webpage effectively because this text appears as the clickable heading for your search engine listing. It should clearly describe the topic of your webpage. You should also include your target keyword in the title as it will tell users that it contains the exact information they are looking for. Use your target keyword in inline hyperlinks. Instead of creating “click here” links, be more specific. If, for example, you have a page that covers “making money online”, ideally the link text should be something like “How to Make Money Online”. This improves readability besides giving search engines an idea of where a link is leading. Use the H1 tags for headings on your webpage. Doing so makes each section stand out. It also makes your content easy to scan and read. Search engines love it. Besides, people love to share such content. Off-page SEO involves doing activities off your website that improve your ranking. It is equally important and if you ignore it, you would not get desired results. 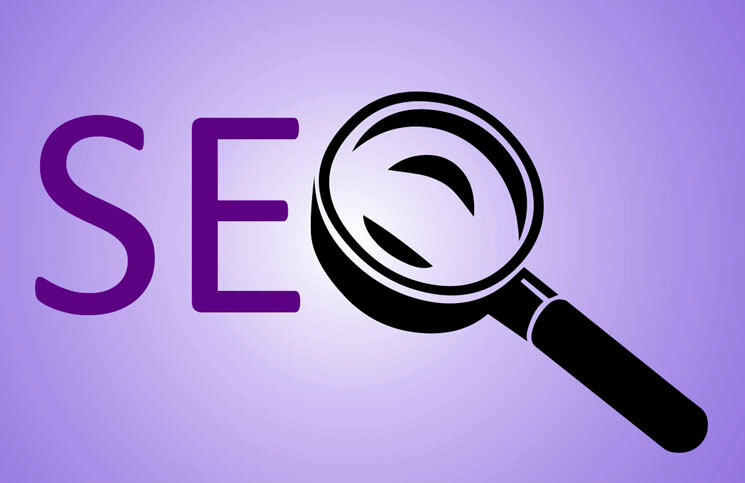 Here are some tips to help you do off-page search engine optimization effectively. Promote your website through social networking Create profiles on Facebook, Twitter, Google+, etc. and connect with people to improve the reputation of your website. If possible, dedicate separate professionals for the profile on each social networking site. Blogging is another great way to promote your website. People love to read blogs online. By creating a blog for your website, you give people a reason for coming back to your website. To run a successful blog, you should write compelling and interesting content for your blog. If your blog is impressive, it will also promote people to link to it. Market your website in online forums. Join a forum that is related to your niche and then start interacting with people. Don’t forget to leave a link back to your website in your posting whenever you get a chance. Forums are a great way to direct traffic to your website. Leverage the power of link baiting. Have other good quality sites link to your site. When a website links to your website, it provides you a “backlink” which improves your site’s worth. Social networking websites, blogs, blog marketing, forum marketing, directory submission, search engine submission, social bookmarking, article submission are some effective methods of getting promoting your website. Submit your website to search engines. It is true that search engines keep crawling the Web for new websites, and eventually they will discover your website. However, it may take time. The smart way out is submitting your website to search engines like Google, Yahoo!, Bing, etc. Submit your website to directories. Contrary to popular belief, directories are not dead, and so is directory submission. People still use them. Search engines refer to them for a lot of information. Again, the rule of thumb is to submit your website to niche directories i.e. the directories related to your website. Improve your website traffic with social bookmarking. The good news is that you do not need to spend money to bookmark. Digg, StumbleUpon, Reddit, Delicious and many other social bookmarking websites let you publish your bookmarks free of cost. Go for article submission, it is worth the effort. People read articles when they are looking for expert advice on some topic. By submitting articles related to your niche to article directory sites like EZine, Go Articles, etc., you could drive traffic to your website that will improve its rankings. Answer people’s questions. People are asking questions more than ever. The “how to” queries are increasingly becoming popular these days. When people ask questions, they are looking for expert advice without spending time. Answer people’s questions and leave a link back to your website in your answer. That way you will get links from a top website. SEO is amazing. It is simple. It is effective. Above all, it is free. Search engines could deliver high volumes of traffic to your website. Traffic obtained through search engines is 100% free traffic. To receive any significant traffic from a search engine, you must appear in the first three pages of the results. You must make effective use of on-page and off-page SEO. Despite its drawbacks, SEO is still the most widely used method of boosting website traffic. Affiliates around the world harness the power of search engine optimization to improve the rankings of their websites. It’s your turn now! Keyword: A word or phrase people use to search information on a search engine. Examples of keywords include “how to make money online”, “SEO guide for affiliates”, “affiliate marketing”, etc. SERP: Search Engine Results Page is a page on which a search engine displays the results for a search query. Website Ranking: The position of a website in the search results on a search engine. Traffic: The number of users who visit a webpage on your website. Crawling: The method used by search engines to index different websites. Very informative information but my question is related to the Coupon Website. What’s the best strategy to promote a Coupon Website how to do On page SEO for them as we have very less content for the Coupons?